Diva Devotee: Florence + The Machine covers Justin Bieber's "Where Are Ü Now"
Florence + The Machine covers Justin Bieber's "Where Are Ü Now"
Justin Bieber isn't exactly my "go to" in any type of musical scenario. But, I loved his link up with Skrillex and Diplo. 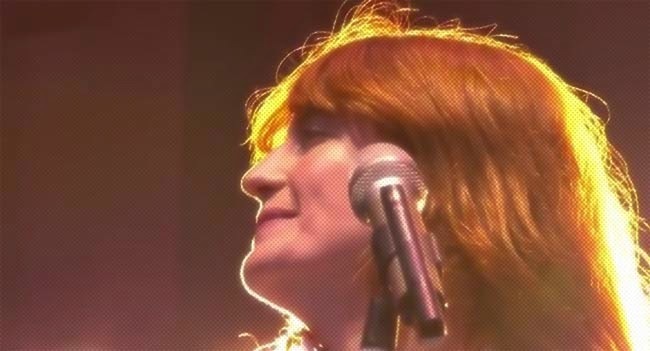 Turns out I wasn't the only one, with Florence and her Machine choosing to cover Where Are Ü Now during their set at BBC Radio 1's Live Lounge. The result was good but certainly nowhere near as iconic as their cover of the Rihanna/Drake duet, Take Care. And, as much as it kills me to say it, I don't see it replacing the Beiber version in my heart. Still, I love hearing Florence's take on popular music. It's always a magical adventure. Oh who am I kidding. She could make fart noises into a microphone and I'd probably still love it.